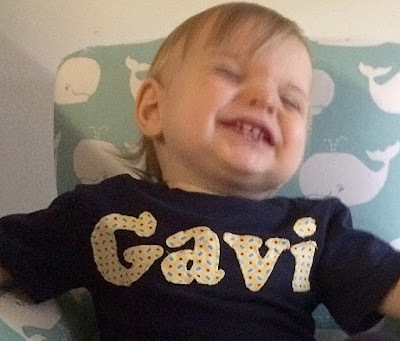 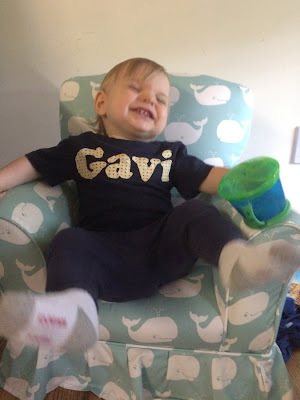 Look how thrilled Gavi is to have his name on his shirt! Makes the perfect gift for a new baby, a birthday present or for a child to wear at their birthday party! Shirts, sweatshirts, sweatpants can be personalized with a child's initials, name or age. 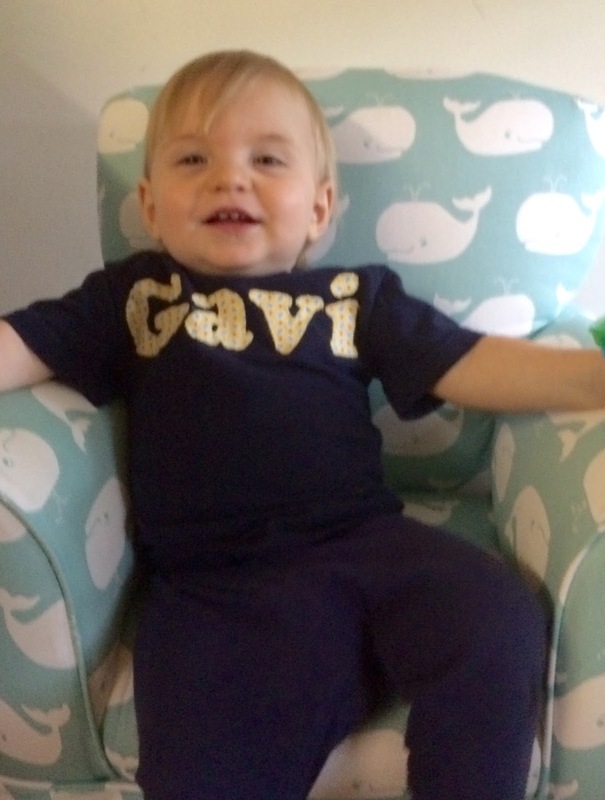 Send me a message for more information today!